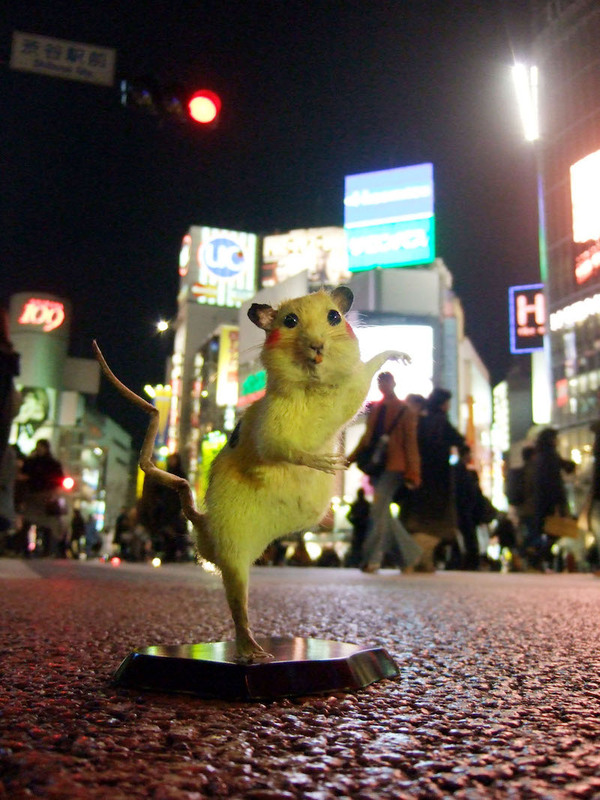 都市のなかで自らを生きいきと進化させ、人間との共存を続けるスーパーラットたちに見出したのは、自分たち自身の肖像であり、放射線汚染後を生きる日本人の姿だった。 ‘Super Rat’ is a nickname coined by pest controllers for a new breed of poison-immune rat proliferating explosively in urban areas. 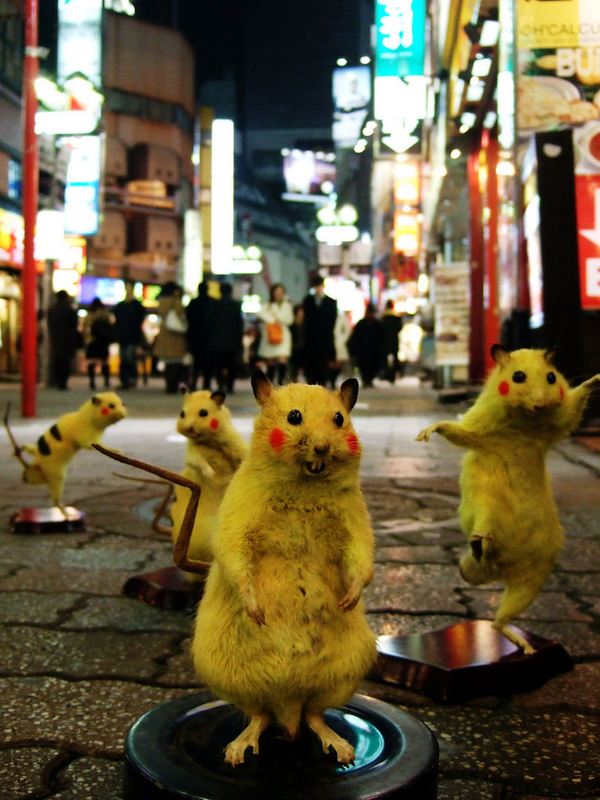 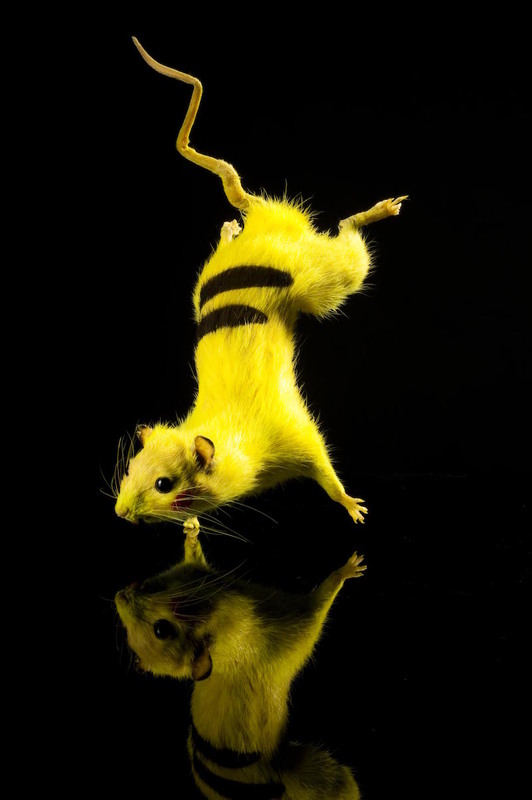 Chim↑Pom captured some of these Super Rats with a fishing net, had them taxidermied and painted yellow to resemble the popular Pokémon character Pikachu, and exhibited them alongside a video of their capture. 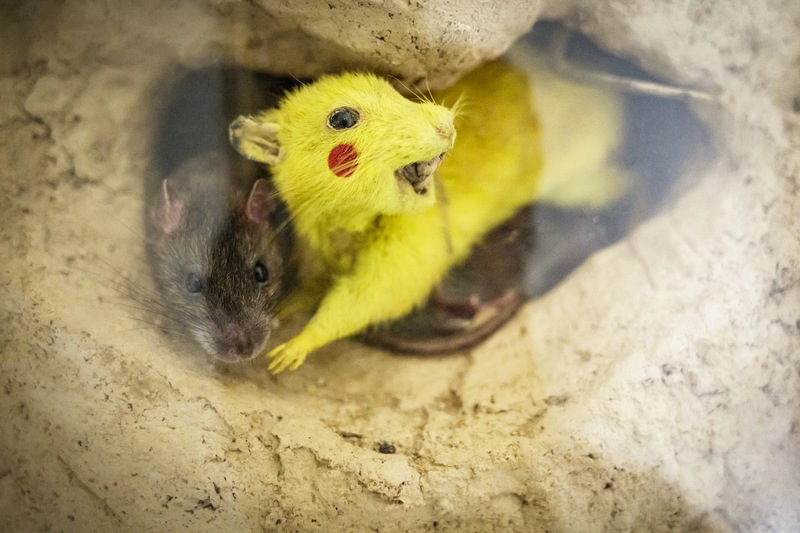 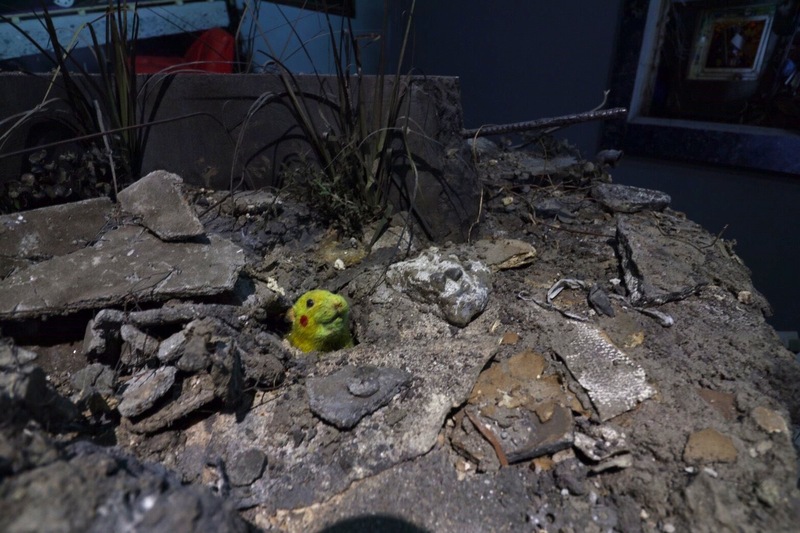 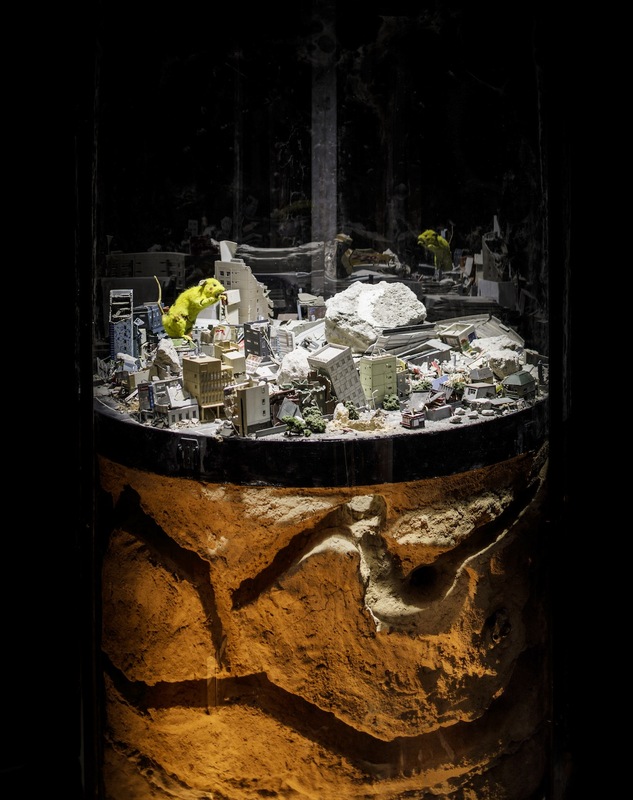 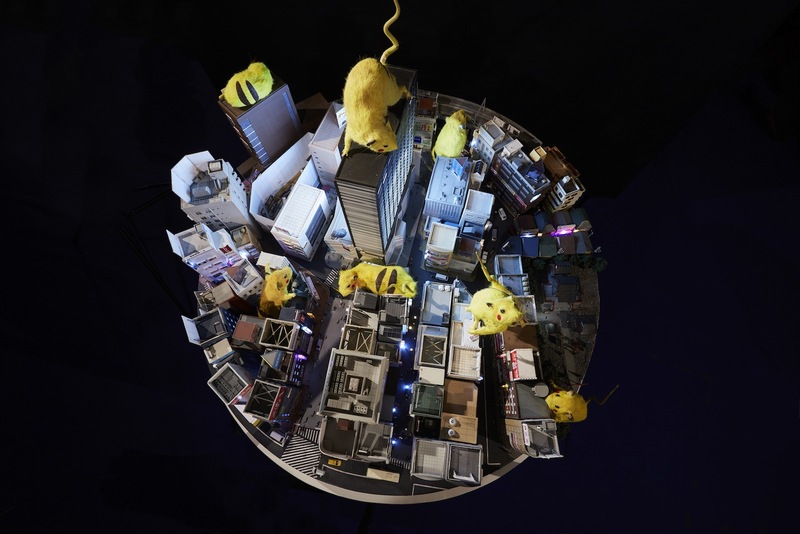 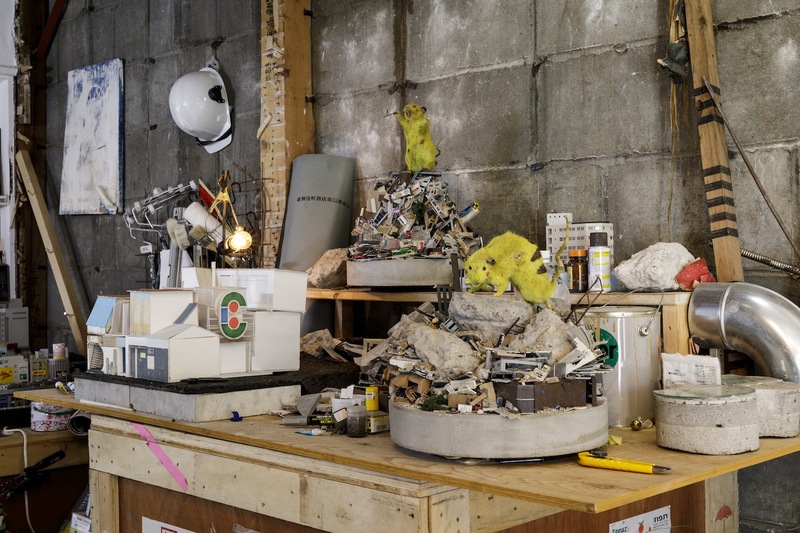 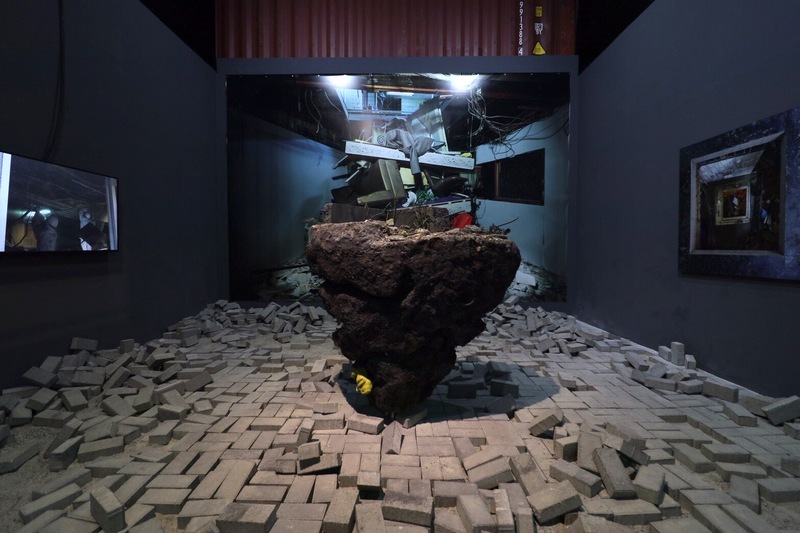 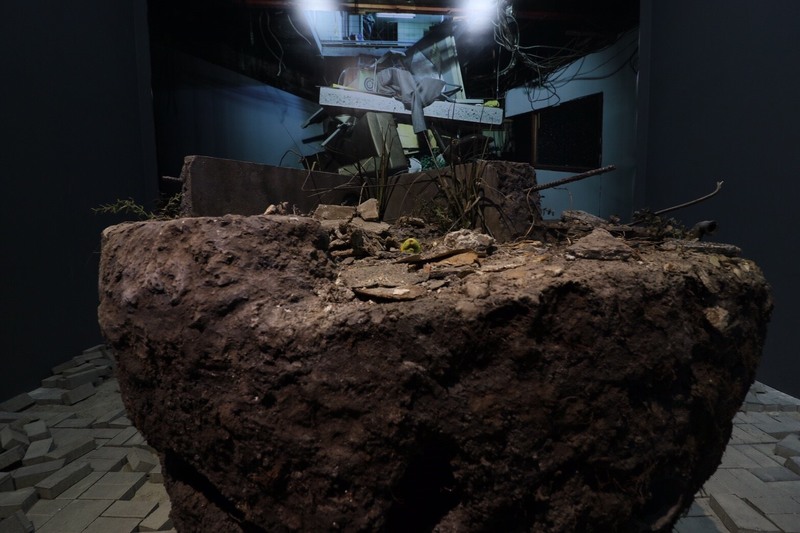 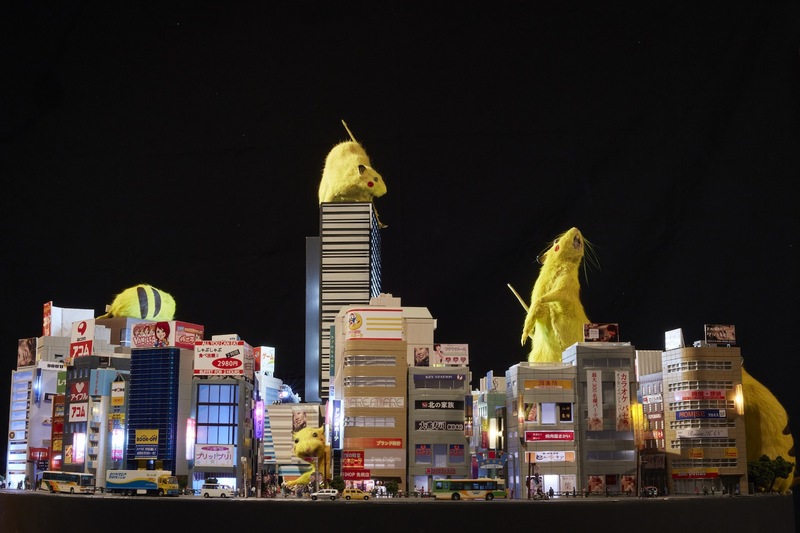 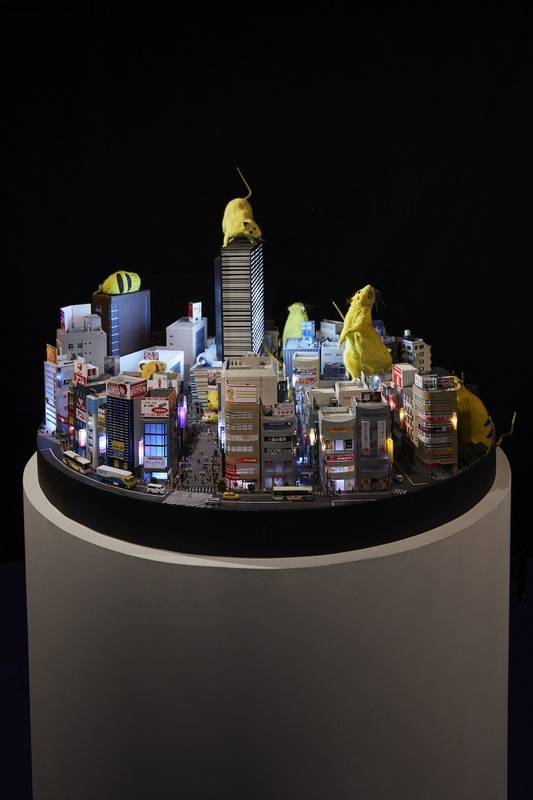 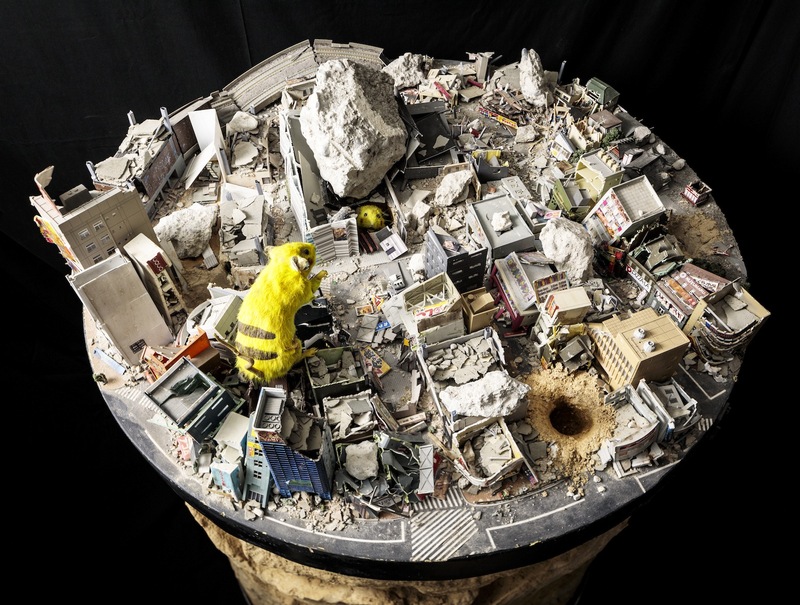 The artists found the Super Rats’ ever-evolving ways of coexisting with human beings to be symbols of themselves as well as Japanese people who live in the midst of radioactive contamination and people who face hardship in society around the world. 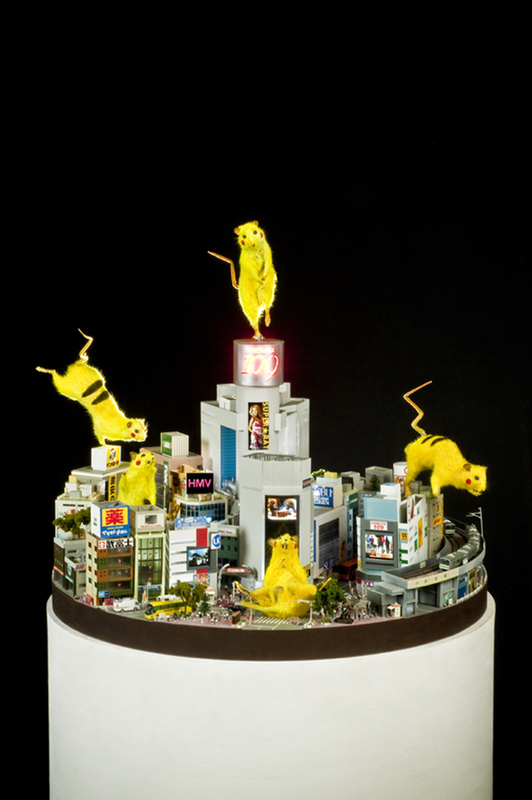 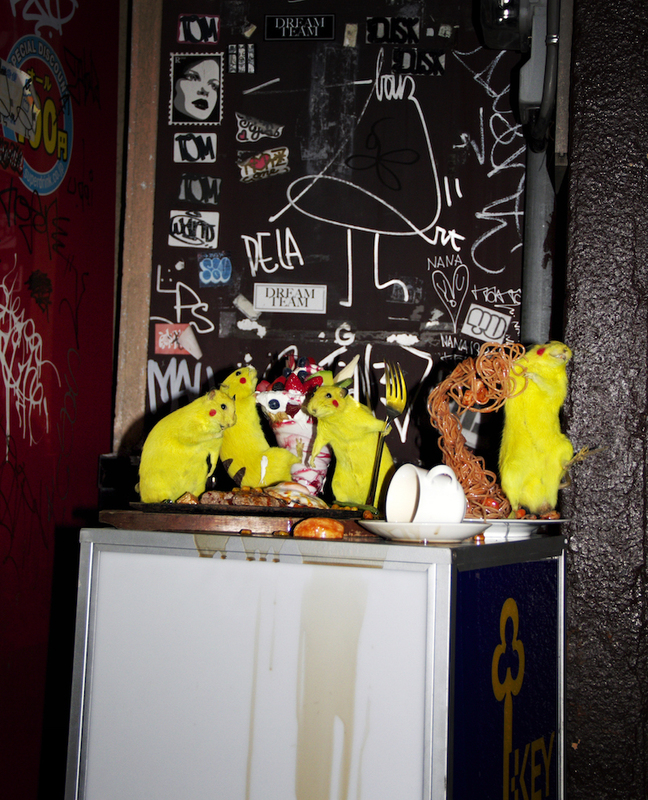 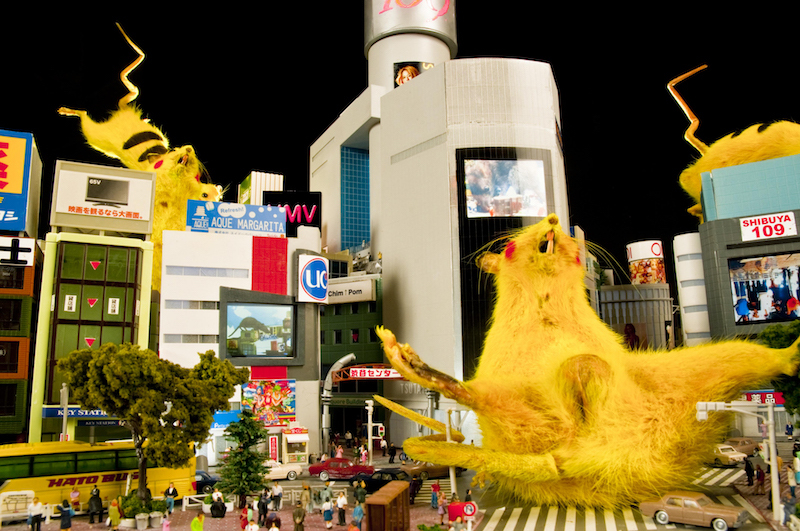 Stuffed rat captured in Shinjuku, Diorama of Shinjuku and more.